For more than 75 years the Chicago Teachers Union has fought for the schools Chicago’s students deserve. The CTU represents more than 25,000 teachers, paraprofessional and school-related personnel, and school clinicians working in the Chicago Public Schools and, by extension, the students and families they serve. to unify the educators of traditional public schools and public charter schools in the City of Chicago, together with other Chicago-area educators that may join with this Union. to promote racial, economic and social justice in order to achieve educational justice and build community and labor coalitions to achieve that objective. 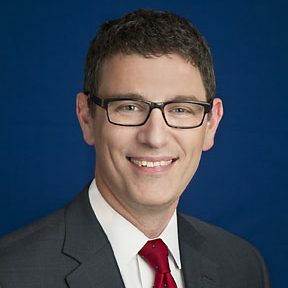 Jesse Sharkey was appointed president of the 24,000-member Chicago Teachers Union on September 5, 2018, replacing retiring President Karen Lewis. A member of the CTU since 1998, Jesse has been a champion of workers’ rights throughout his career, believing that the Union’s true power comes from the strength of its rank-and-file and their willingness to fight for the betterment of Chicago’s public school students, families and communities. Jesse served as CTU vice president from 2010 until 2018, during which time he played a key role in two rounds of contract negotiations, the merger between the CTU and the Chicago Alliance of Charter Teachers and Staff and the Union’s historic 2012 strike. He was on the front lines of fight against school closings in 2013 and the ongoing campaign for revenue for the school’s Chicago’s students deserve. Prior to being elected to CTU leadership in 2010, Jesse taught social studies in Chicago Public Schools for 12 years at Senn High School and Chicago Vocational Career Academy, where he also coached chess, served as union delegate and worked with community and activist groups such as the Kenwood Oakland Community Organization and the Campaign to End the Death Penalty. In 2004, he played a leading role in the Save Senn campaign that mobilized hundreds of parents to oppose the takeover of the school by a military academy, an experience that taught him the value of defending traditional public schools against privatization. Jesse represents the CTU on the American Federation of Teachers’ (AFT) Executive Council, and sits on the AFT Executive Board. He earned both his bachelor’s and master’s degrees from Brown University where he studied history and education, and currently lives with his wife and two children in Chicago’s Rogers Park neighborhood. 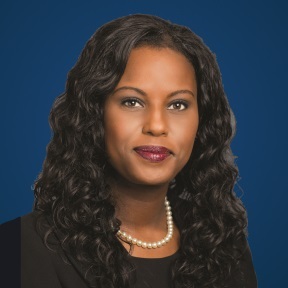 Stacy Davis Gates has served as the Political and Legislative Director for the Chicago Teachers Union for the past six years. While at the CTU, Ms. Davis Gates has been the architect of bold political and legislative campaigns for the schools and city that all Chicagoans deserve. She has raised millions of dollars to elect classroom teachers to all levels of local government and to challenge school privatizers and union-busters, most prominently Mayor Rahm Emanuel and his rubber-stamp City Council in 2015. Ms. Davis Gates has also spearheaded successful statewide legislative campaigns to pass the strongest charter school accountability measures in the country, to restore the bargaining rights of Chicago Public Schools employees, and to fully fund public education by ending tax loopholes for the 1%. In 2017, Ms. Davis Gates was elected Chair of United Working Families, an independent political organization by and for working class people and our movements. She also serves as a board member for ACRE, The Action Center on Race & the Economy, a nexus for organizations working at the intersection of racial justice and Wall Street accountability. Ms. Davis Gates is currently on leave from the classroom, where she taught high school social studies for over a decade at Englewood and Clemente High Schools and Mason Community Links High School. She attended Saint Mary’s College, the University of Notre Dame, and Concordia University. Ms. Davis Gates lives on the south side of Chicago with her husband and three children. 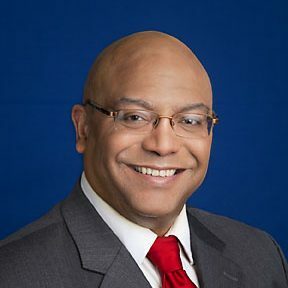 Michael E. Brunson has served as Recording Secretary for Chicago Teachers Union since 2010. He is first and foremost an educator and believes deeply that education is the bulwark of democracy and the best guarantee of a just and civil society. Prior to his election as a CTU Officer, he spent most of his time teaching in the primary and middle grades. Michael served as a CTU delegate and local school council (LSC) teacher member in his school while also serving in an organization whose main goal was to network the LSC’s on Chicago’s South Side. He has since been a strong advocate for developing LSC’s in Chicago public schools as models of school governance through participatory democracy, and remains a certified LSC trainer. As an officer of the CTU he has worked tirelessly to reverse the decimation of Career and Technical Education programs in CPS schools and has lobbied at state and national levels to increase expansion and spending on vocational education programs in Chicago and the state of Illinois. He is a strong advocate of Human Rights and initiated the Human Rights standing committee within the CTU. As Recording Secretary, he has participated in the negotiations of two major CTU contracts and ongoing strategic bargaining with CPS. In addition to addressing issues with bulling of CTU members by overzealous administrators in the schools, Michael has been a strong proponent of critical pedagogy and Restorative Justice practices as means to make school curricula more relevant and meaningful. 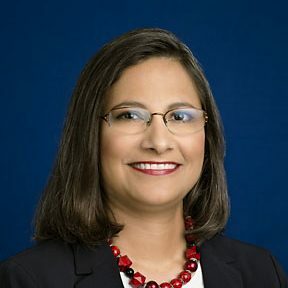 Maria T. Moreno worked in CPS as a bilingual education teacher and as a speech-language pathologist prior to her election as CTU financial secretary in May 2016. As an elementary bilingual education teacher, she served as a delegate, district supervisor and strike coordinator. As a district supervisor for Midway Network 1, she worked with the CTU’s organizing department, parents, teachers and community members in the fight to oppose the turnaround of Marquette Elementary School and against abusive and counterproductive network administrators. As a speech-language pathologist, she served as an executive board elementary functional vice president and Big Bargaining Team member. As a rank-and-file member, she was active in the charter outreach committee, clinicians’ steering committee and the CTU Latino Caucus’ policy committee. The Executive Board of the Chicago Teachers Union is comprised of the elected officers, committee chairs, appointed members and union staff. The “E Board” directs the work of the officers, sets the agenda for the House of Delegates, and makes decisions in emergencies.